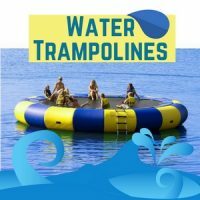 Anyone who’s ever been on a water trampoline or a water bouncer know one thing for sure – they are both a ton of fun! Both are possibly the best water toys you could ever get. They mix exercise, water, and trampolining in the best way possible.